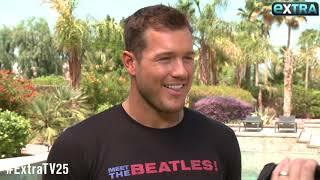 After four amazing hometown dates, only three of Colton's bachelorettes can make it to the fantasy suite dates. Do you think he chose the right three? Colton confesses his love for Cassie, but she decides to leave before he has the chance to propose. A heartbroken Colton then jumps a fence and goes missing. The Bachelor Roses & Rose LIVE Finale Part 1 RECAP: Colton Underwood Makes Franchise History! Colton takes Caelynn on a one-on-one date where they hit the designer stores of Singapore for a shopping spree, much to the delight of the other girls. After five weeks Cassie finally gets her one-on-one date! Colton takes Cassie to a secluded private island where they make the most of their time together. After hearing lots of rumours, Colton finally confronts Caelynn over her desire to become the next Bachelorette. Is she really here for the right reasons? Whilst on the final one-on-one date before hometowns, Colton tells Hannah B he's having doubts about their relationship and decides to send her home. After jumping the fence and running off into the Portuguese wilderness Colton tells Chris Harrison he's done! But can Chris talk our Bachelor around? 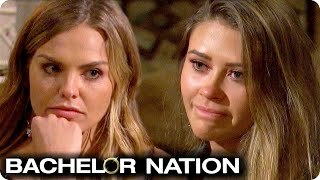 Katie reveals to Chris Harrison how Caelynn and Cassie weren't ready for a proposal and were more interested in 'winning' or becoming The Bachelorette.